The Pearl of Marco Polo has been stolen, and your lovely holiday interrupted. Youre tasked to go to Fiji and retrieve the precious jewel. Yet, youll soon become aware theres something far more sinister at play. 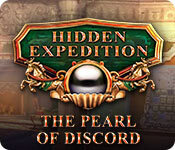 As you follow the hot trail, youll learn that the great explorer hid something within the pearl. A device that once saved the city of Venice, but now threatens its very existence. Can you make a daring step, and stop the notorious Zambetti family from destroying everything you care for?